Astronomers using NASA's Chandra X-ray Observatory have discovered the first pair of supermassive black holes in a spiral galaxy similar to the Milky Way. 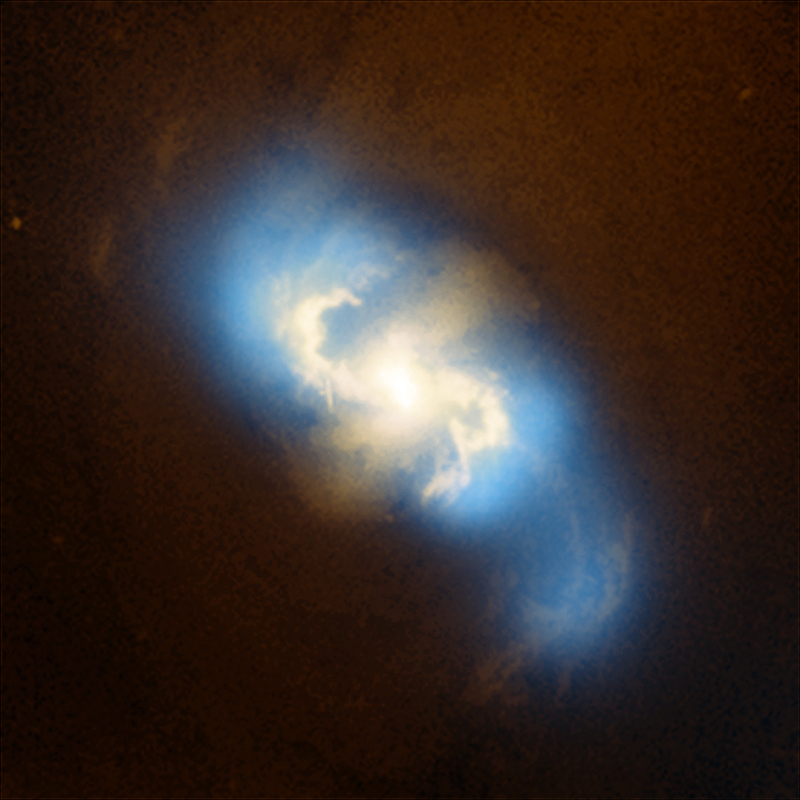 Approximately 160 million light years from Earth, the pair is the nearest known such phenomenon. The black holes are located near the center of the spiral galaxy NGC 3393. Separated by only 490 light years, the black holes are likely the remnant of a merger of two galaxies of unequal mass a billion or more years ago. 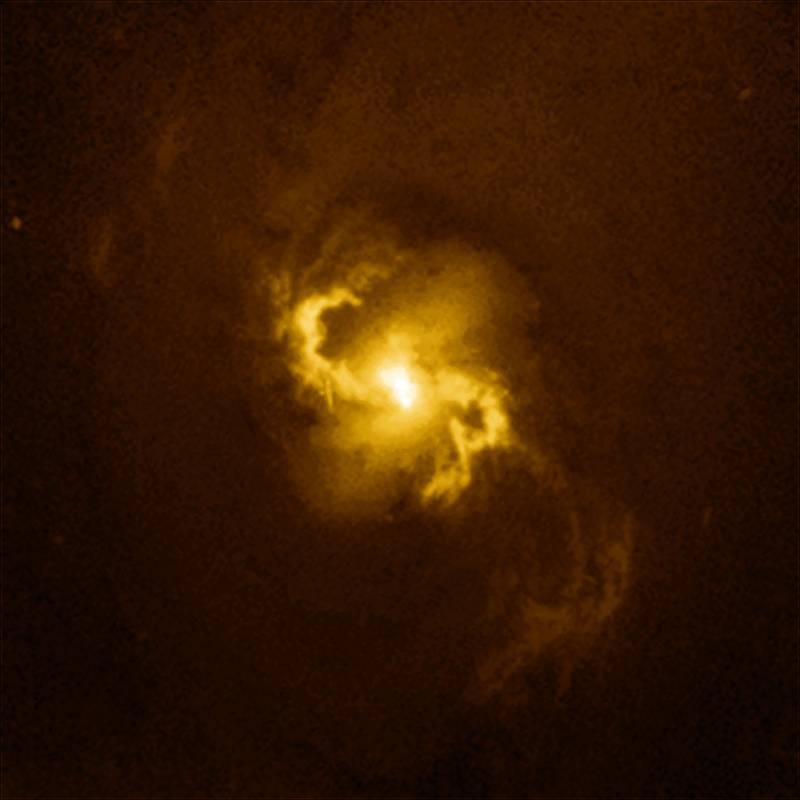 These images of NGC 3393 show X-rays from Chandra and optical data from the Hubble Space Telescope. Zooming into NGC 3393's central region, this view shows observations from only Chandra. Two separate peaks of X-ray emission (roughly at 11 o'clock and 4 o'clock) can clearly be seen. 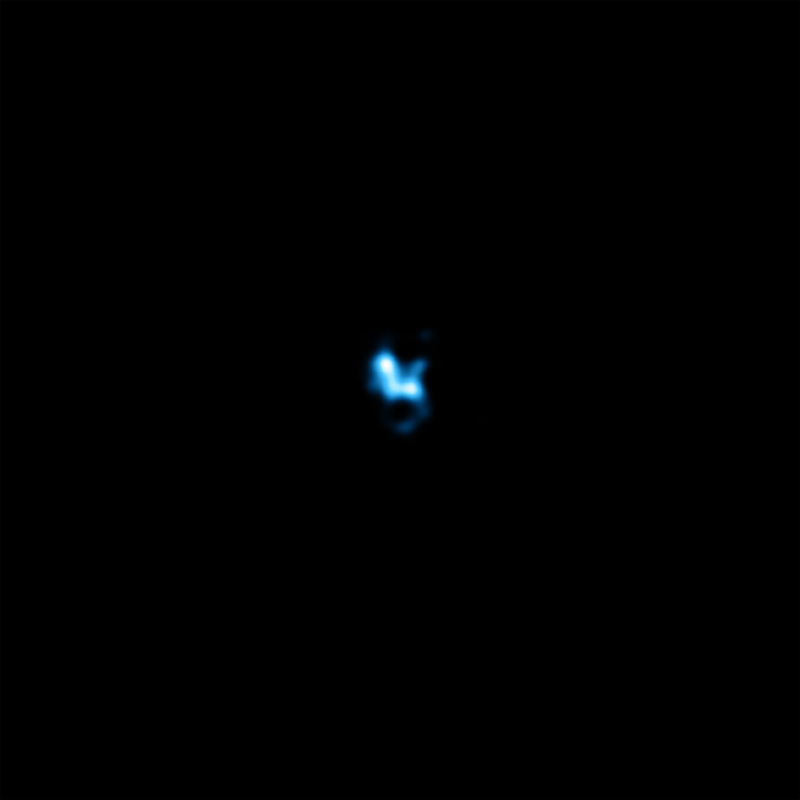 These two sources are actively growing black holes a mere 490 light years apart. Because X- rays are generated as gas falls towards the black holes and becomes hotter, astronomers were able to detect the black holes in the Chandra data.